Books, Bargains, Blessings: It's 10pm. Do you know where your toilet is? It's 10pm. Do you know where your toilet is? I know "It's 10 pm. 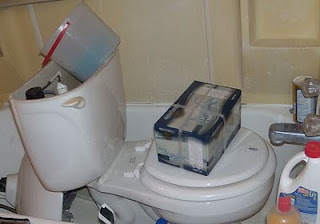 Do you know where your toilet is?" 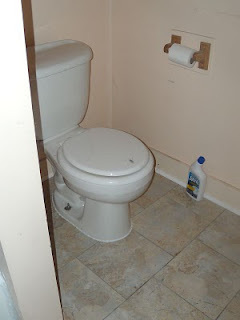 sounds like a silly blog post title, but recently my toilet was in my bathtub! This actually begins a few years ago. 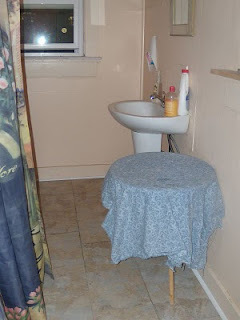 ﻿My bathroom needed some work done, and we hired a handyman. First he never did get hot water to my sink. (I have it now.) Then he put vinyl flooring in -- UPSIDE DOWN. Well, the perfectionist that I am didn't like upside down vinyl, so he put in other, this time right side up, but never fastened it down. I started curling at the edges of the floor -- and in the middle where he chopped it up to put it down. 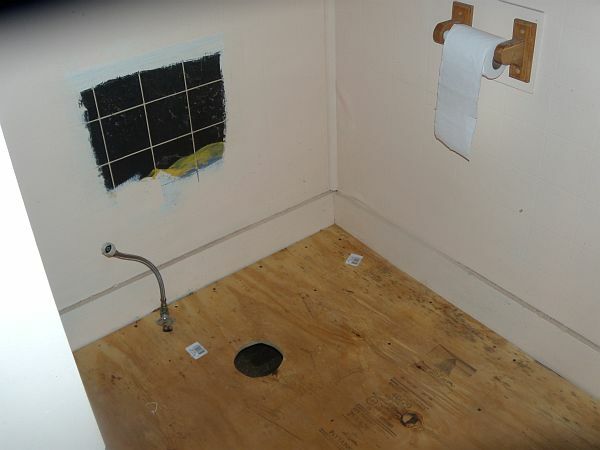 After a couple toilet overflows we had our current handyman (different guy) take a look at it. What he found really didn't surprise me. 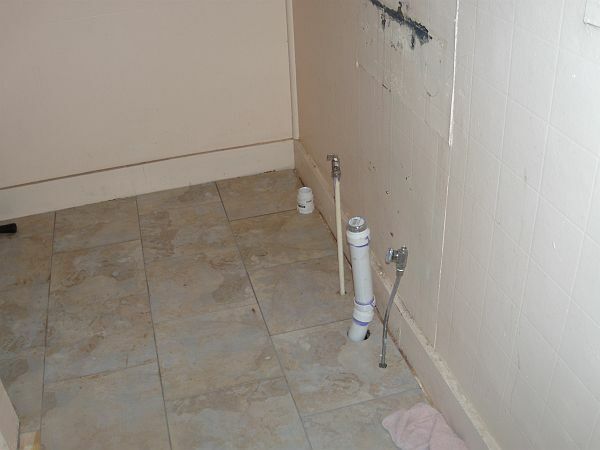 The toilet had rusted off the cast iron pipes. It was just sitting there on top of pipes. But it had leaked enough the floor was rotted. (That didn't surprise me, I knew the floor was wet because of the gaps in the vinyl from the previous handyman.) 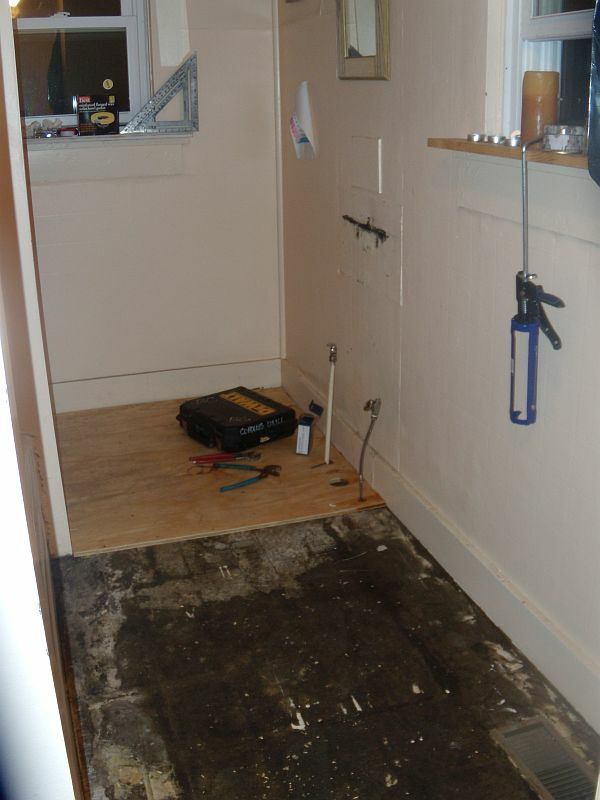 Our current handyman told us that it was lucky that I hadn't landed in the laundry room the floor was so bad rotted. Well, thus started our week of bathroom renovations to fix the necessitites. First a new floor had to be put in. I'm glad the joists were still good! The first picture reminds me of Asain toilets! Then of course we had to put new flooring on top of the floor because even though it was money we didn't really have, you can't have a bathroom floor of plywood! Then the basics started returning. I'm thilled at a bathroom floor that I won't fall through, and I also really like flooring that isn't chopped up in places and curling away from the floor. I'm still doing some basics in the bathroom and trying to decorate and get a little better organized on less than a shoestring budget. 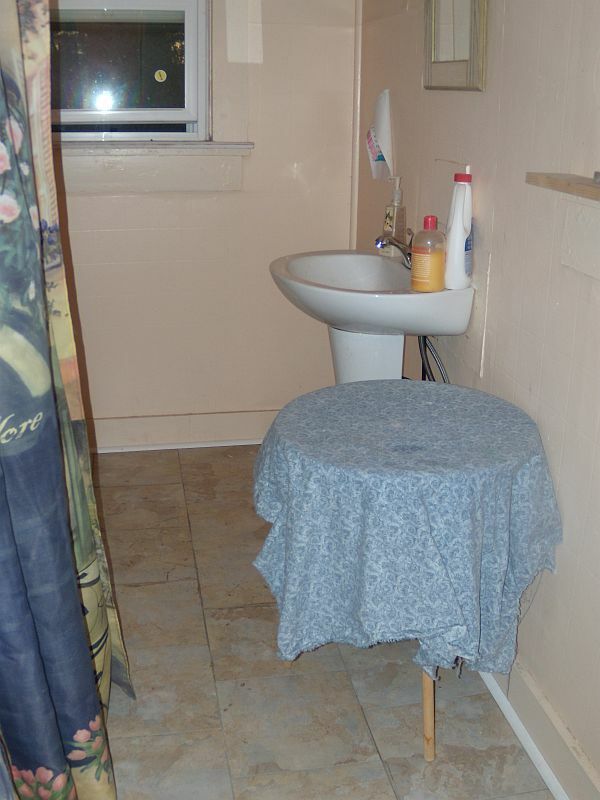 In all the cost of the bathroom was around $1400. Money that we don't really have to spare. So, I know I've been begging for votes, but with a chance to win $2500, I really need the votes. Just go to http://www.lifeofdumdums.com/ and you can vote daily. My picture is the guinea pigs with the fire truck. I really appriciate the votes, and just by voting you might win a $50 Fandango gift certificate!